Well here is the new title plate which cost a total of $779.75. The Inspector only checked the motor number and then installed the plate on my firewall. My car now is completely street-legal in Virgina and is insured by State Farm. Although your comments have caused me worry they were helpful. I did remove the seat belt and seat cover as per the suggestion of 34-40. In fact this Forum has been very helpful in building my roadster. The only down side is that the title is now registered for a 2012 Special Construction auto so I will have to pay annual tax on a 2012 model. Moving on, has anyone here calibrated the digital speedometer for the "It's a SNAP" instrument set? My speedometer works but reads high so I would like to contact someone who has successfully calibrated this speedometer. It took me so long to finish my roadster that the wiring and instrument company is now out-of-business so all I have is the original instruction sheet but I need to know the actual sequence of pressing the ground button. Last edited by Don Shillady; 02-13-2013 at 08:02 PM. Congrat's on getting it titled / registered and all legal.!.! That's another one of those milestones. I don't have my paperwork handy for the calibration but, I can get it for this weekend. From my memory though.. You push the button until it says "CAL", then you drive the single measured mile. Then press the button again, after it goes through a sequence then you shut off the car wait a moment, then you're good to go! 34-40 thanks for the calibration tip, I'll give it a try. Congrats Don!!!! Enough time to get the shakedown runs out of the way and all the "tweaking" done so you'll be able to have a fun summer of cruizin'!!!!! Glad it went smoothly for you, Don. Enjoy those first extended runs. As several of you say there will be shakeout runs and maybe a few modifications. I already envy Jeep owners who have zippers in the side curtains and maybe I can get "Corkys" to put zippers in the front so I can adjust the mirrors and have some air in the seasons between "all-side-curtains" and "no-side-curtains". Let me thank this Forum again for tremendous help along the way to build my roadster. 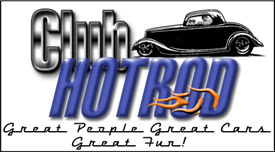 I think one of my first posts was to ask Dave Severson about a '29 roadster he was working on back in 2004-2005, Techinspector was very helpful with my engine and choice of the 700R4 and Denny helped a lot in the past. Now 34-40 has set up this thread for me so I am looking over my list of more than 200 pictures to select a few to post here to finally document the build. Many other helpfull tips were suggested by other posts along the way, so thanks to them also. The several shakeout runs will try to build up reliability to make a fulfillment of a return to the parking lot of my High School (which is now a medical building) in suburban Phila., a trip of about 300 miles. My family has traveled up and down Route 301 over the Chesapeake Bay bridge many, many times for family visits and I recall seeing quite a few rods traveling the "good-road-less-traveled" on Rt. 301 because the road is 4-lane most of the way but the traffic is light. On the other hand there is little mercy for a breakdown on that route, just cornfields and geese in season. I recall one run in a '66 VW beetle in which I lost voltage and traced it to worn generator brushes but we got home when I went into a corn field and found a cob to pluck off two kernals. I wedged a kernal between the spring and the nub of the remaining brush on each side and we drove home! Thus I am planning to bring a spare fan belt, 2 gallons of gas, extra Prestone and a tool kit for that longer trip but there will be several shorter shakeout runs as several of you have said. An explanation of the $779.75 cost of my Title Plate is that $644.75 was a 3% tax on all parts purchases outside Virginia less shipping costs, $125 for the Inspection with application of the actual plate on the firewall and $10 for the new title. Had I known about the 3% tax I might have purchased more parts through local speed shops like Paradise Road just south of Richmond but of course those catalogs Like Speedway have just what you want and then you have to pay the Va tax later. Well it is done now but for folks in Virginia it might do well to pay attention to local speed shops and pay the tax up front instead of a big lump later. Hind sight is usually 20/20! Last edited by Don Shillady; 02-13-2013 at 07:58 PM. Survey Question: Is anyone interested in me culling out about 30 pictures from the over 200 that I have of my build and posting them here even though most of them have appeared in scattered threads in other parts of this Forum? I recently had to do this for the State Farm Underwriter to overcome the meaningless name "Bebop's" for the source of origin of the body and frame so I can do it in approximate historical order over the last eight years. Most of it is standard stuff using the suggestions by folks on this forum but maybe a few tricks like adaptation of the Dodge Van seat, and firewall modification of the Bebop's body may be of interest along with the trick of carving out the header bow to hide the windshield wiper and other things that may help some newbie using a Bebop's body? Bebopspallet.jpgOK,It is a rainy day here so I will try to put a list of highlights rather than all of the many sequential pictures and I may not be totally in the right order. Another thing is that some of the early steps were later changed/improved. It will be clear that some of this project is not at as high a level of some other cars shown on this Forum but it has been at the limit of my financial capability and some parts like the stainless top irons are excellent, but some other parts and workmanship hint strongly of my amateur craftsmanship. Well it runs and looks good from ten feet away! I will start with the Bebops body as delivered on a palet. I do not have pictures of the engine as purchased. The engine was purchased in 2003 from a guy who pulled it from a 1976 Corvette and replaced it with a 383. Alas the engine was the lowly L48 and had only tin valve covers, not the nice aluminum covers I had fantasized and the block only has two-bolt main bearings. I decided to build only a mild upgrade although I searched out many replacement engines without fully understanding the options. Advice of Joe Butler and Techinspector1 on this Forum were very helpful. The engine sat on my garage floor until 2005 when I dealt with "Joe's Machine shop" (now closed, Joe retired) which was mainly a local business AND build shop for Joe Butler's SBC 400 racing cars. The pictures show I bought the Bebops body with all four fenders connected to the floor and I ordered full latches on the doors and a rumble trunk lid. Since I scattered pictures of my project all over this Forum I will try to only show what I think are the key steps with apologies for the repitition but there are some new pictures. Last edited by Don Shillady; 02-18-2013 at 02:06 PM. Attachment 57374Attachment 57375Attachment 57376Attachment 57377Attachment 57378Here are some pictures of the basic Bebops body showing the interior skeleton of 1" square tubing and what was the oversize trans tunnel. The Bebops folks (Teresa Witt and shop folks) were pleasant to deal with and had prepackaged all the necessary parts for a 1929 roadster replica based on a Brookville frame so all I needed was a junkyard rear and I found a 1974 Maverick 8" rear which is close to the perfect width without cutting for the Model A fenders. I did have to weld mounting pads on the rear axel to accept the coilover rear shocks which will be shown in later pictures. The Maverick rear had a 2.73 rear gear which was later changed to 3.55 using a ring and pinion from Speedway (8"). I considered just waxing the black gel coat but there are mold marks on the body which need to be smoothed before painting the body. Last edited by Don Shillady; 02-16-2013 at 08:35 AM. tankbracesml.JPGAttachment 57381I have always been facinated by the Model A rumble seat so I measured the dimensions of an authentic rumble seat and made a cardboard model which was then sent to Rock Valley Tanks to make a gas tank in that shape. Rock Valley shows one of their tanks made from 16 gauge stainless steel (no rust!) that was in a collision without bursting but I ordered mine to be made from 14 gauge stainless for added strength. The volume of the tank came out to be about 13.5 gallons. In addition I added a 4" wide steel plate 3/16" thick across the back skeleton of the body to protect the gas tank and that also added a lot of rigidity to the body. The tank is secured to the rumble hinge on each end and by three additional bolts through the floor by a wide flange that is welded to the front edge of the tank at an angle which fits the slope of the floor. Last edited by Don Shillady; 02-16-2013 at 09:11 AM. Attachment 57385Attachment 57386Attachment 57387In 2005 Bebops drop-shipped a lot of parts for the 5" dropped front I-beam setup and the rear coilover suspension which i assembled without taking any pictures. All these parts were given two coats of Rustoleum black paint. The front end used a Speedway disc brake kit on '39-'48 spindels in a cross-steer geometry connected to a Vega steering box. This assembly proceeded smoothly, although hindsight suggests a 4" dropped axel would have been better. The next problem was making holes in the floor for the coilover mount on the Maverick rear. Rubbermaid spoon trays were used to cover the floor holes with sheet metal hold-downs bolted to the floor. The funny shape of the scrap piece in the middle picture is the initial cutout up front for the transmission, a hole there which would increase over time first for a Gennie shifter and later for a Lokar shifter. In the bottom picture you can see the domed piece of truck inner tube on the left that was placed between the floor and the steel holdown to provide a water splash barrier over the top of the coilover. Last edited by Don Shillady; 02-18-2013 at 02:24 PM. Attachment 57388The final covered floor shock mount is shown with the inverted Rubbermaid spoon trays painted black. Attachment 57389Attachment 57390Even though the top of the shock mount protrudes through the rear floor the shock height is still adjustable due to a three hole mount at the bottom on the rear axel housing. You can also see the modified rear bumper mounts made necessary because the authentic frame is U-channel while the Brookville frame is rectangular tubing. Thus the bumper mounts had to be modified but now can support the weight of an adult easily. Note these are pictures at 90 degrees. The Rubbermaid spoon tray covers have a lip on them and a tightly fitting cutout in some sheet metal holds them down with bolts through the 'glass floor. There is a rubber gasket all around the tectangular hole between the 'glass floor and the hold-down plate cut out of a truck inner tube and this will hopfully prevent splash coming up through the floor. The inner tube rubber is the gray material above the top shock bolt. In effect these holes in the floor are covered by both the thick rubber and the inverted Rubbermaid spoon trays. Last edited by Don Shillady; 02-18-2013 at 02:29 PM. Attachment 57391 The next problem was to make foot room in the cockpit which involved cutting out the large trans tunnel and sandwiching the firewall between a 1/4" aluminum plate in the inside which provided strength side-to-side and gave a sturdy mounting base for the fuse box, accelerator and heater. The aluminum plate is larger on the left side to provide a stronger mount for the steering column. I have another picture of a stainless steel sheet bolted on the front of the firewall and later painted body color. The little domed piece painted red is all that is left of the previous long, tall trans cover. The Gennie shifter shown here was later replaced by a Lokar shifter. The bulls eye brake pad is a nostalgic throwback to a former cherished '47 Ford convertible. Except for the small transmission hump the front floor is now more like the original model A floor board and provides more foot space. Last edited by Don Shillady; 02-18-2013 at 02:40 PM.